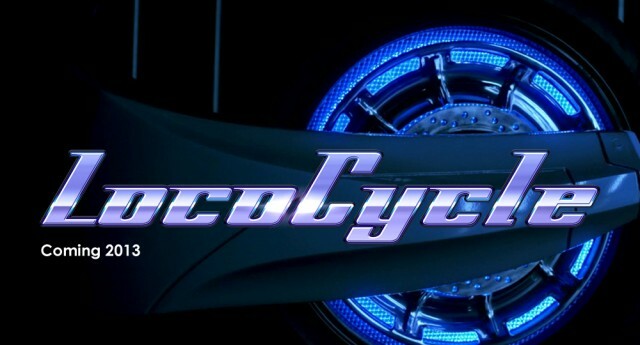 Twisted Pixel, the Austin, TX developer behind hit XBLA titles Ms. Splosion Man and The Gunstringer, today released the first gameplay footage of its next release, Lococycle. The game was first glimpsed in teaser form this past June during Microsoft’s pre-E3 2012 media briefing. At the time it was clear that Lococycle was a motorcycle racing game of sorts that featured a motorcycle named I.R.I.S. 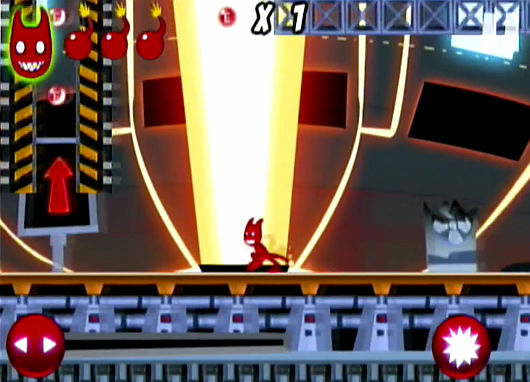 that appeared to have ridden right off of the set of Tron and onto XBLA. Twisted Pixel released a few scant details at the time betraying I.R.I.S.’s profession (assassin) and skill with weapons and hand-to-hand combat. Today’s footage puts to rest any doubts in the minds of gamers that a motorcycle can in fact be an assassin. The wild video shows I.R.I.S. ripping down the asphalt at a blistering pace while dragging a rider behind her and spraying bullets all over the place. That’s not the wild part. Later in the trailer, the motorized killer leaves the confines of the road behind and leaps into the air to in hand-to-hand — or wheel-to-hand, to be more precise — combat against some jetpacking assailants. It looks mighty similar to the type of action game combat that has become commonplace in the years since Devil May Cry introduced it. I.R.I.S has apparently escaped from her manufacturer, Big Arms Incorporated, and possibly gone rogue. Big Arms has responded by letting loose her predecessor, S.P.I.K.E., to hunt her down. Lisa Foiles of Even Stevens fame is voicing I.R.I.S., and in a move that is sure to please swarms of fanboys, Twisted Pixel has brought on Robert Patrick, most famous for portraying the T-1000 in Terminator 2, to do the voice-over work for S.P.I.K.E. The two actors can be seen doing their thing in the above behind-the-scenes video. Lococycle will be at PAX Prime in Seattle this weekend along with full-sized models of the two cycles built to promote the game. XBLA Fans will be in attendance to steal the motorcycles and burn rubber in the convention hall check out the title.